SAILING and KIDS are one perfect MATCH! And, as we wind up our November 2018 scholarship drive, we are again thrilled to announce that there is a another match: that a long-time donor will MATCH every dollar donated by other friends of ESS from November 26 all the way through November 30! Right now, whether you have already donated to the Rick MacNeil Scholarship Fund or not, please consider donating during these last 5 days to take advantage of this "MATCHING" opportunity! To join in, PLEASE CLICK on the Sailing School's Rick MacNeil Scholarship Fund – (www.edgewoodsailing.org/donate) – or mail a check to Edgewood Sailing School, PO Box 25641, Cranston RI, 02905. ESS is a 501(c)(3) non-profit school, and your contributions to the scholarship fund are tax-deductible to the extent permitted by law. And so … THANKS TO EVERYONE WHO AS ALREADY HELPED to support this important aspect of ESS this year … we are excited TO GO INTO NEXT 2019 WITH A REPLENISHED SCHOLARSHIP ACCOUNT TO OFFER ASSISTANCE to sailing student families in need! 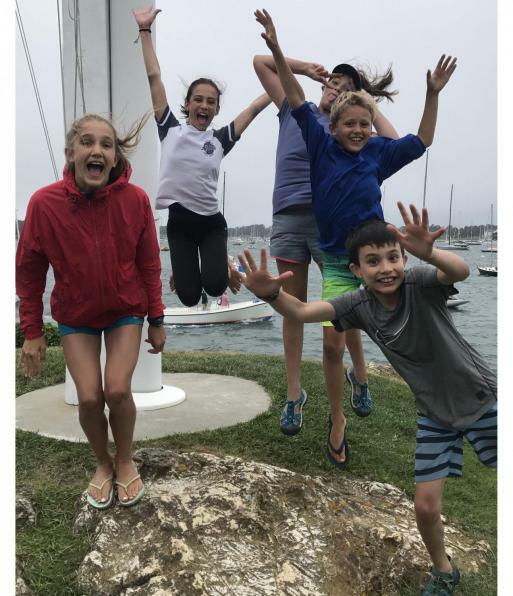 "Giving the gift of sailing to ESS Kids is its own award."